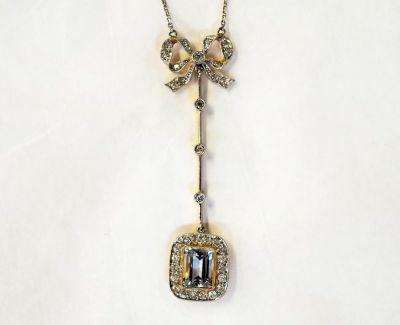 A beautiful Edwardian platinum and 18kt yellow gold mill grain ribbon drop necklace featuring 1 emerald cut light intense blue aquamarine, est. 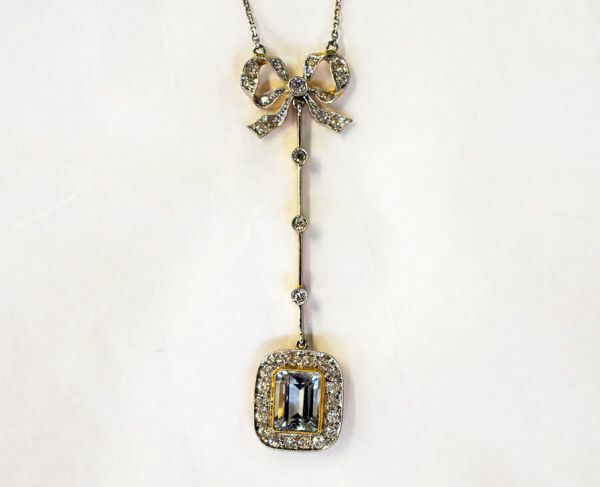 2.39ct; 1 old European cut diamond, est. 0.04ct (SI1 clarity & G-H colour) and 33 old European and single cut diamonds, est. 0.62ct (SI-I1 clarity & F-G colour). 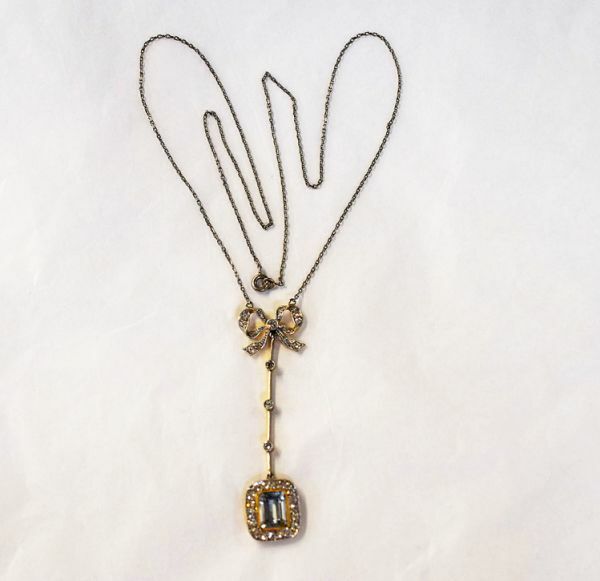 The necklace is approx. 18.25 (18 1/4) inches (46.36cm) in length.